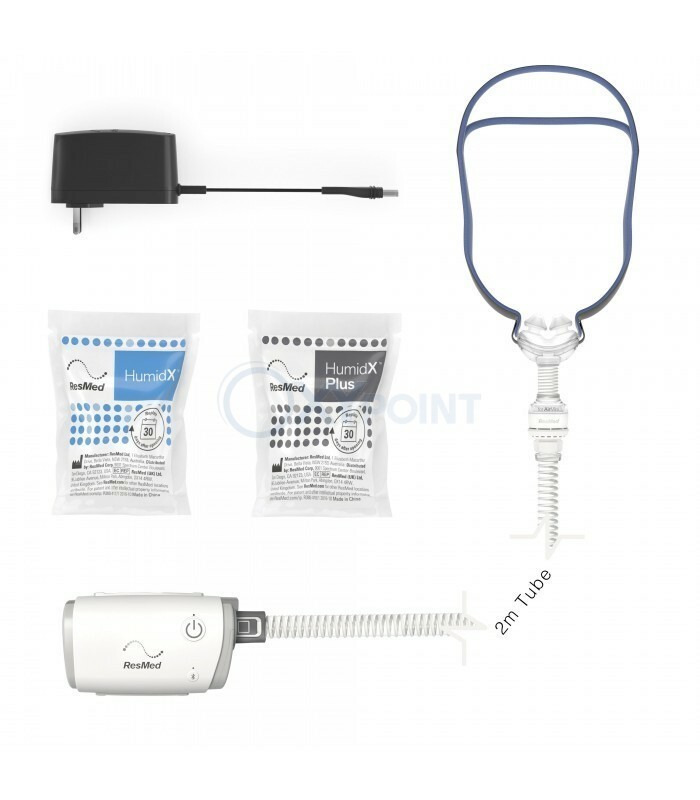 The AirMini™ is designed to operate with only specific ResMed masks. 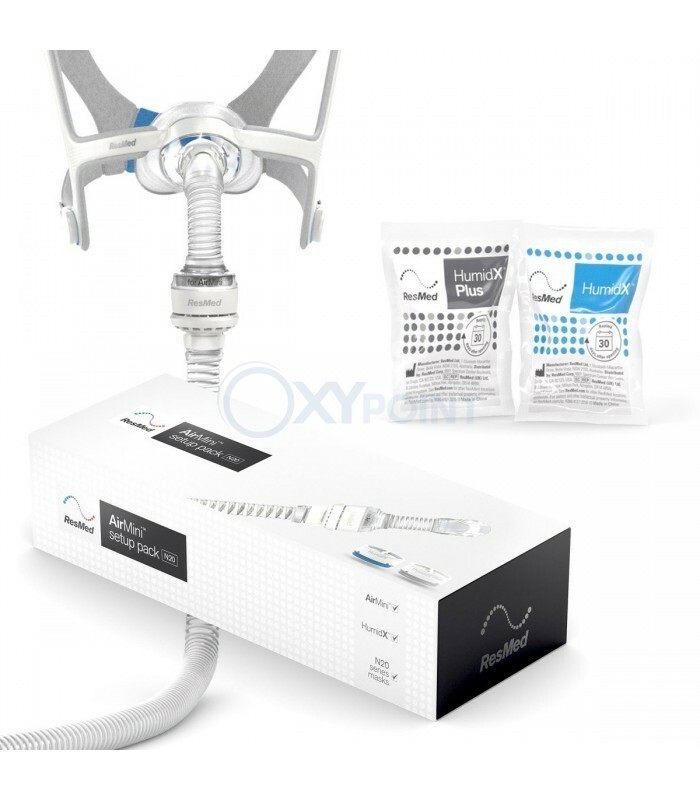 Due to the design of the device, please carefully read the "Return Policy” and "Mask and Tube Compatibility” sections on the Important Tips tab of this page to ensure this machine is the right fit for you. 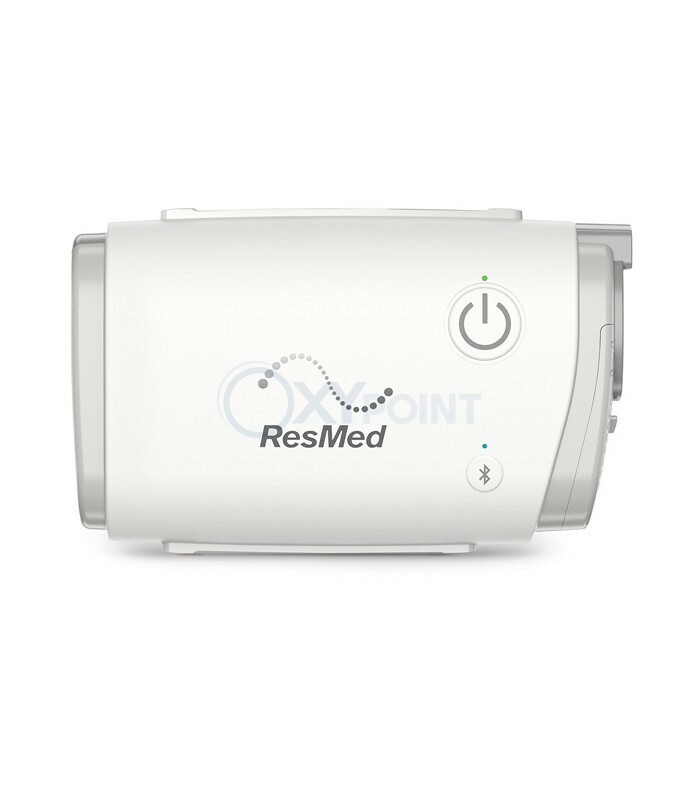 The AirMini™ AutoSet™ Travel CPAP Machine is the smallest ResMed machine available today, weighing only 0.66 pounds. 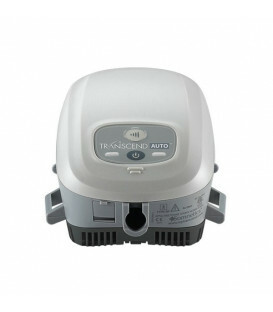 This small CPAP uses a small 20W power supply to further minimize the size of the travel unit. 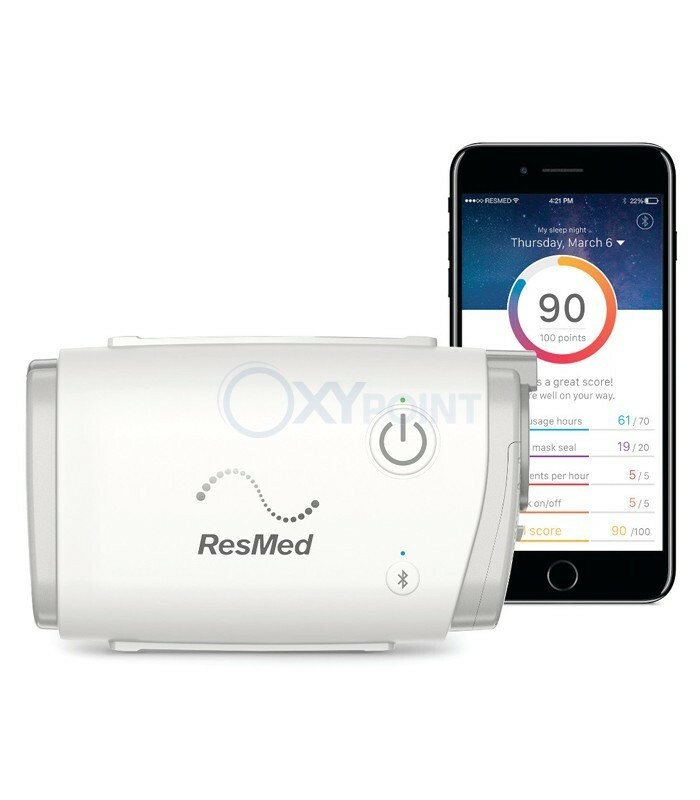 Pair the machine with the AirMini™ by ResMed smartphone app to track therapy and adjust machine settings. 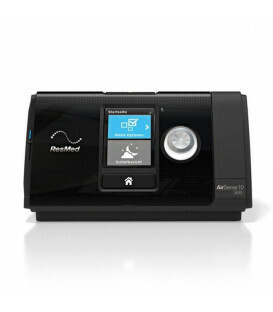 ResMed's AirMini™ AutoSet™ Travel CPAP Machine is uniquely designed for operation with four ResMed masks. 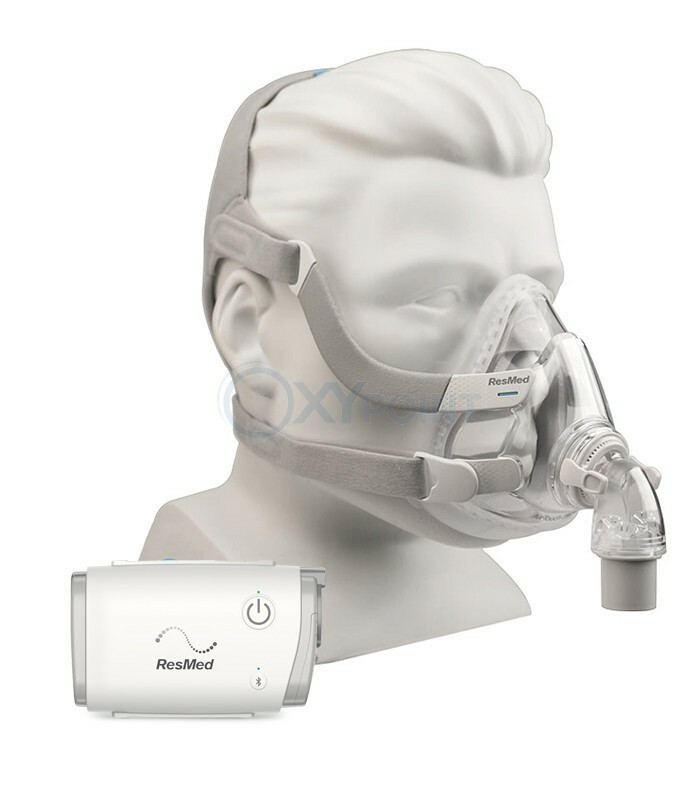 Choose your size in the AirFit™ N20, AirFit™ F20, AirTouch™ F20, or AirFit™ P10 mask, depending on the mask that offers optimal therapy. 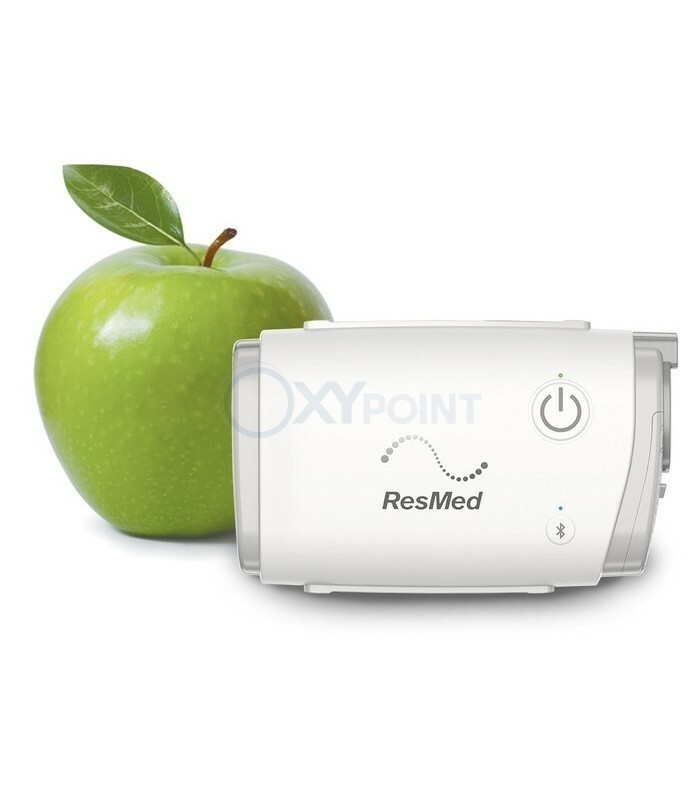 The AirMini™ runs with minimal white noise sound and offers pressure relief features such as Ramp and EPR. 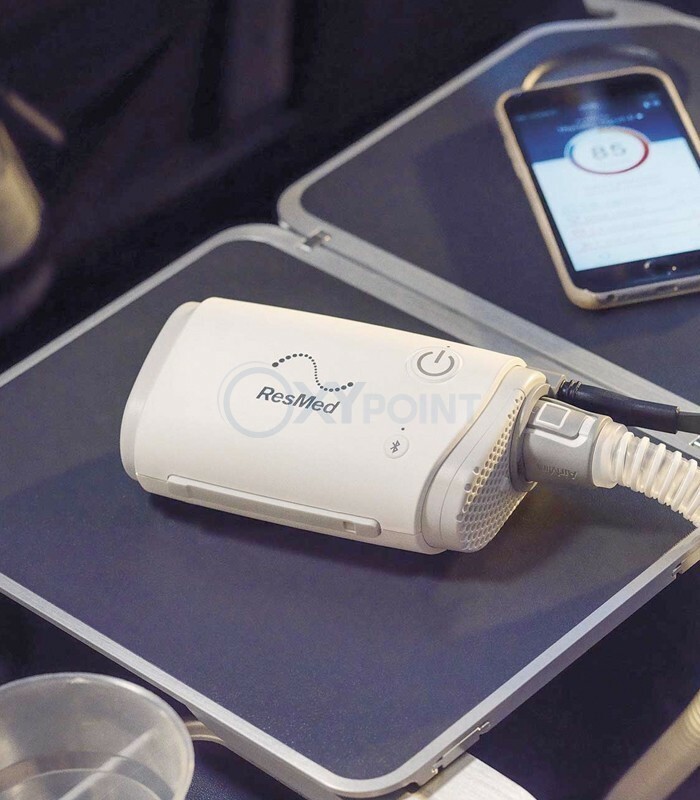 If pairing the device with the AirFit™ N20 or the AirFit™ P10 and their corresponding tube setups, the included waterless HumidX™ unit is the humidification option intended to help provide moisture while on the road. 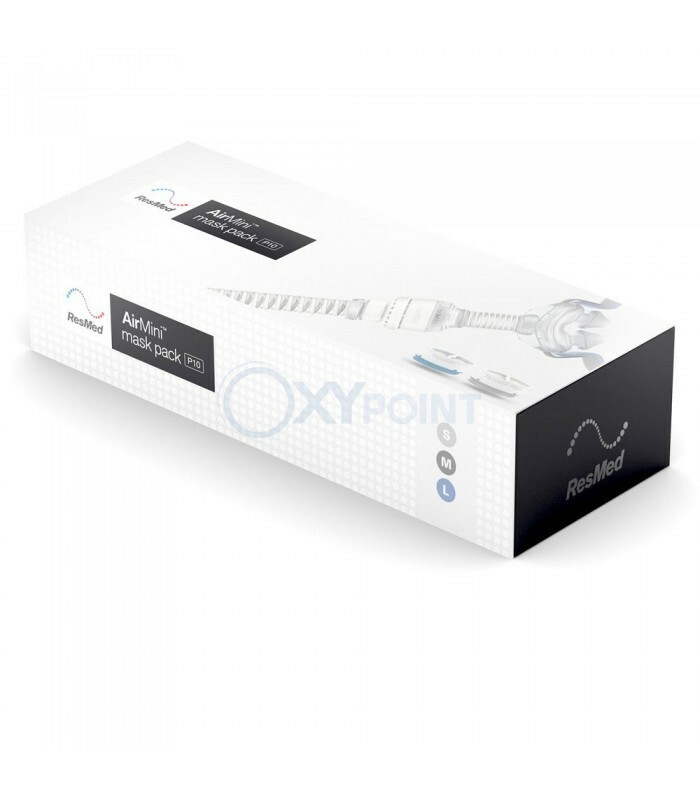 The AirMini™ device weighs 0.66 pounds and measures 5.4 inches long by 3.3 inches wide, making this the smallest RedMed machine available. 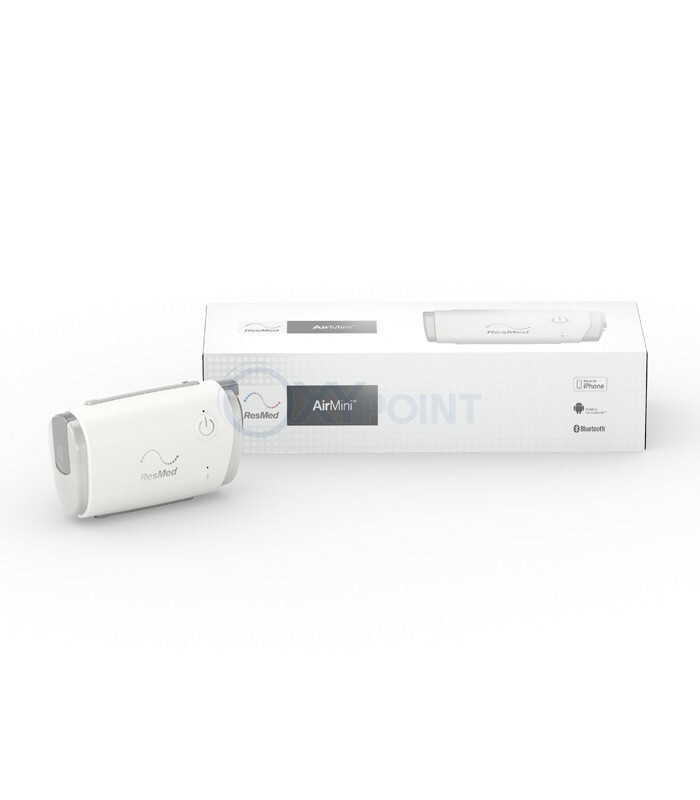 Pack the AirMini™ in its premium travel bag and or place the device in the travel case and store in your suitcase for ease of travel. 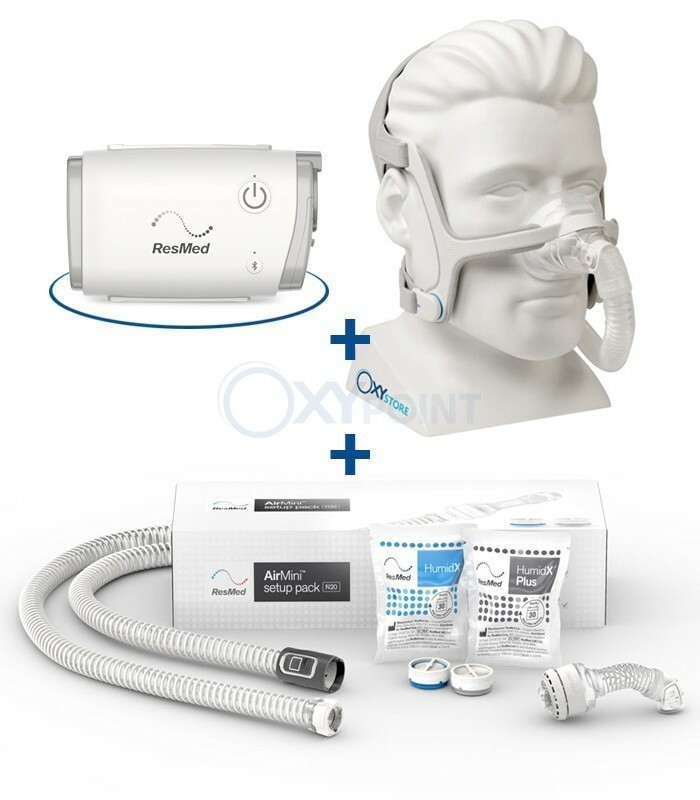 The AirMini™ AutoSet™ Travel CPAP is intended to operate with four specific masks. 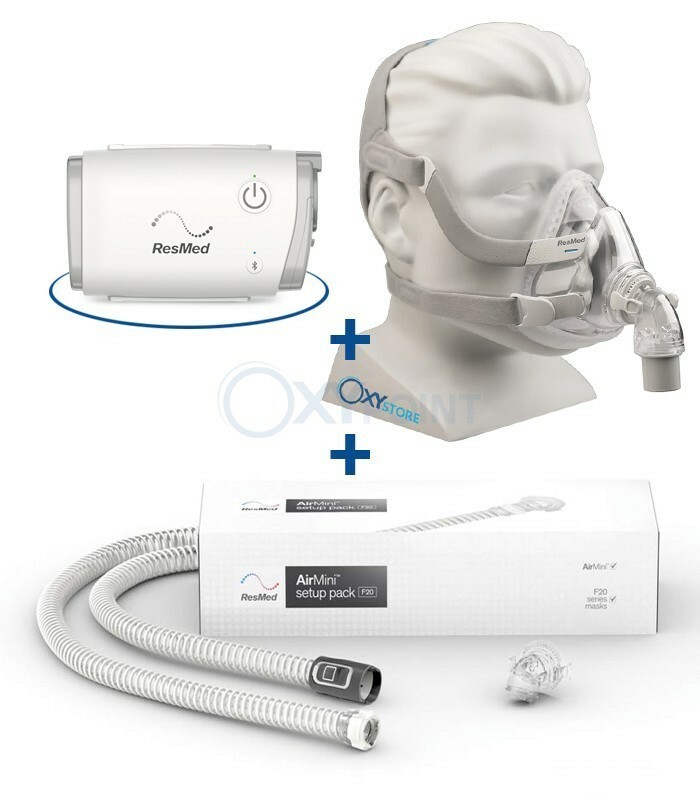 ResMed offers a 30 day guarantee on the mask purchased with the AirMini™, allowing the user to test the mask to ensure optimal therapy results. 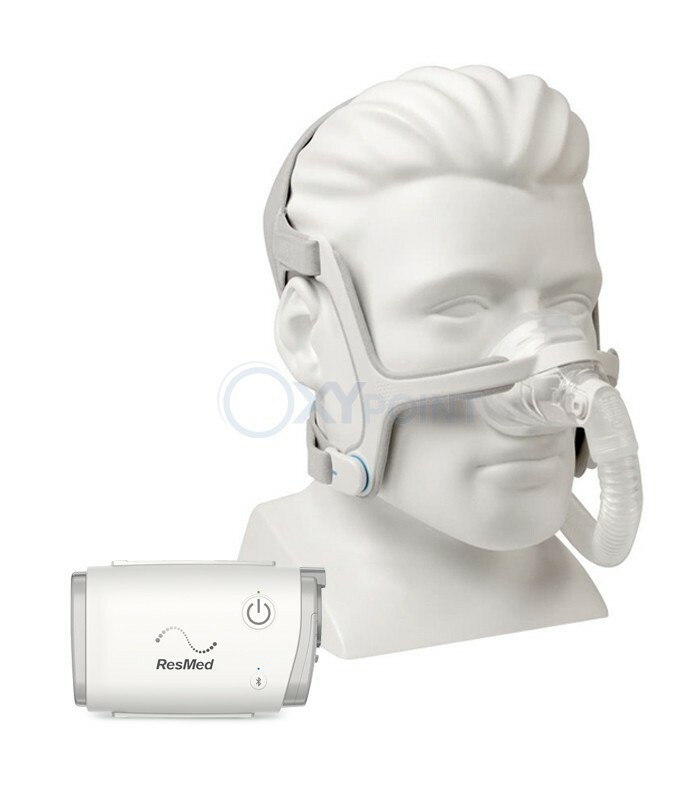 Be Aware: Although ResMed offers for the mask purchased with the AirMini™ to be returned to CPAP.com within 30 days in favor of one of the four options, they DO NOT offer non-warranty returns for the machine itself. 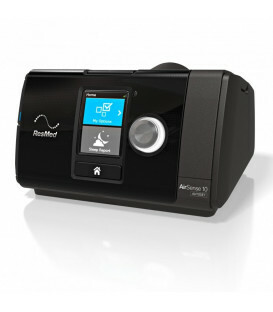 You may want to try the masks with your current CPAP machine before purchasing the AirMini™ to ensure the right fit. No other hoses or accessories (including humidifiers) are compatible. 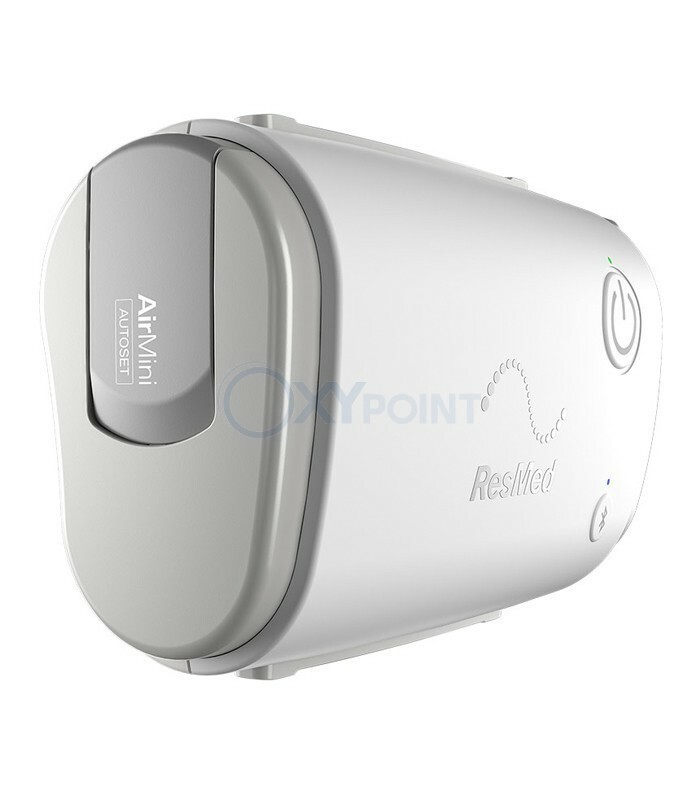 Press the Bluetooth button on the front of the AirMini Travel CPAP machine. 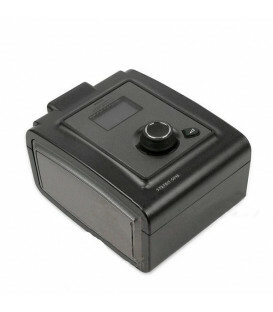 Scan the barcode with your device's built-in camera or type in the four-digit number on the barcode to begin connecting the machine and personal device (personal device not included). When connecting, a blue light on the front of the machine will blink. Once the connection is complete, the light will stay solid blue for approximately thirty seconds before turning off. 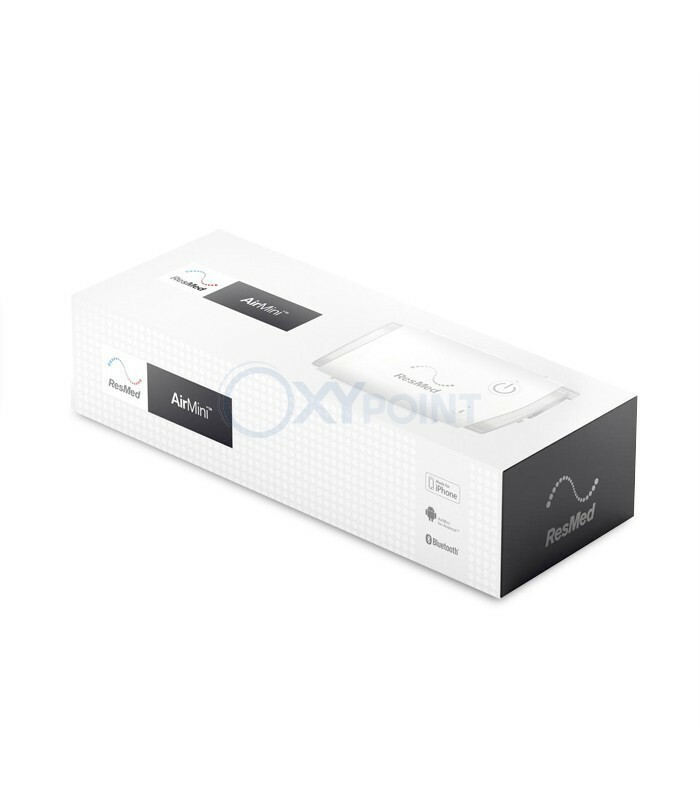 Now, you are ready to start exploring your personal sleep data. Humidifiers are wonderful additions to CPAP therapy as they provide moisture and can ease side effects from therapy. 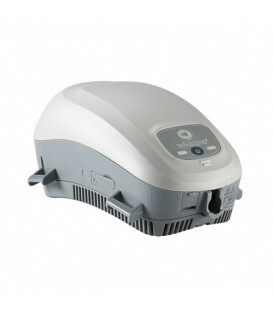 However, when traveling a humidifier can be a difficult item to pack. 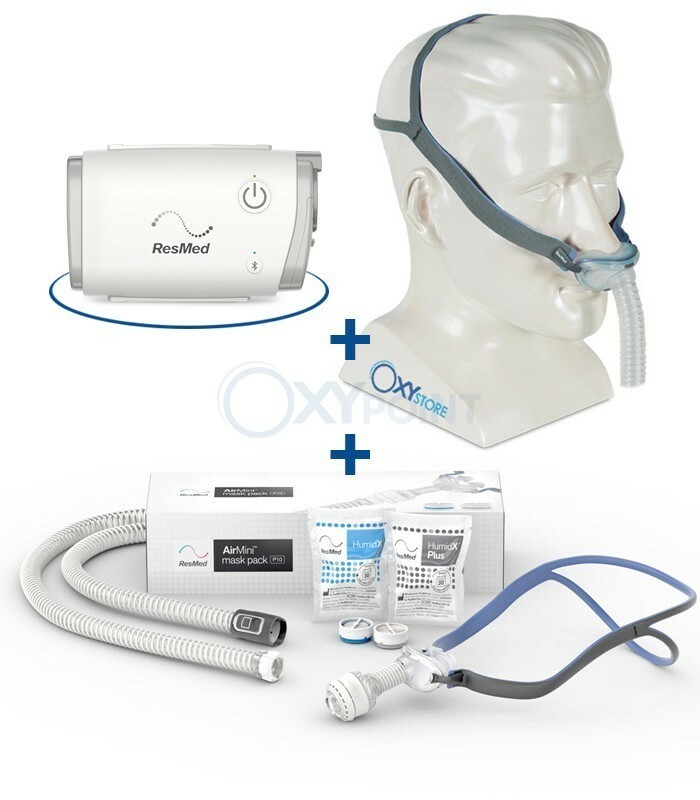 ResMed designed the HumidX™ waterless component into the tubing of the AirFit™ N20 and AirFit™ P10 masks for the AirMini™ device. Travel lighter while adding moisture to sleep therapy. 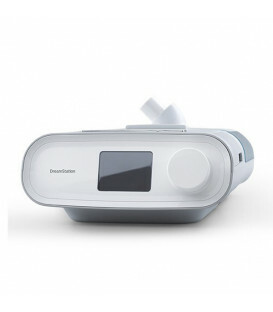 This travel machine has the Ramp feature which allows the user to slowly adjust to CPAP pressure in increments before reaching the prescribed pressure. 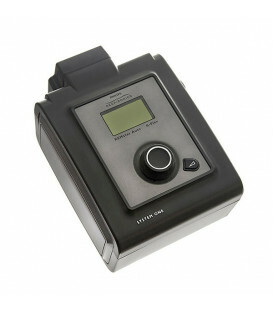 Automatic Start | Stop has been implemented into the design of this device. 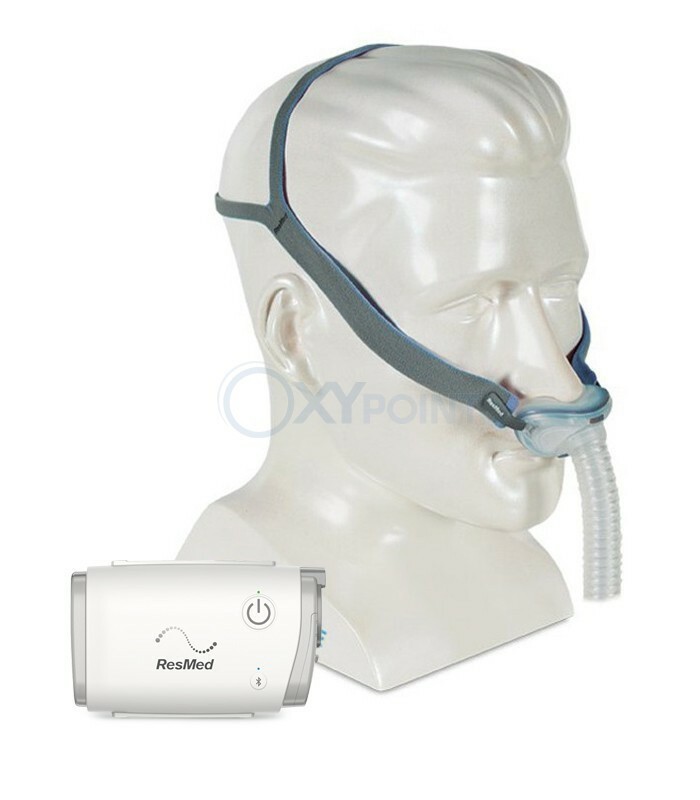 Using the device is as easy as carrying it; place the mask on the face and breathe to begin therapy. In order to stop sleep therapy, remove the mask. 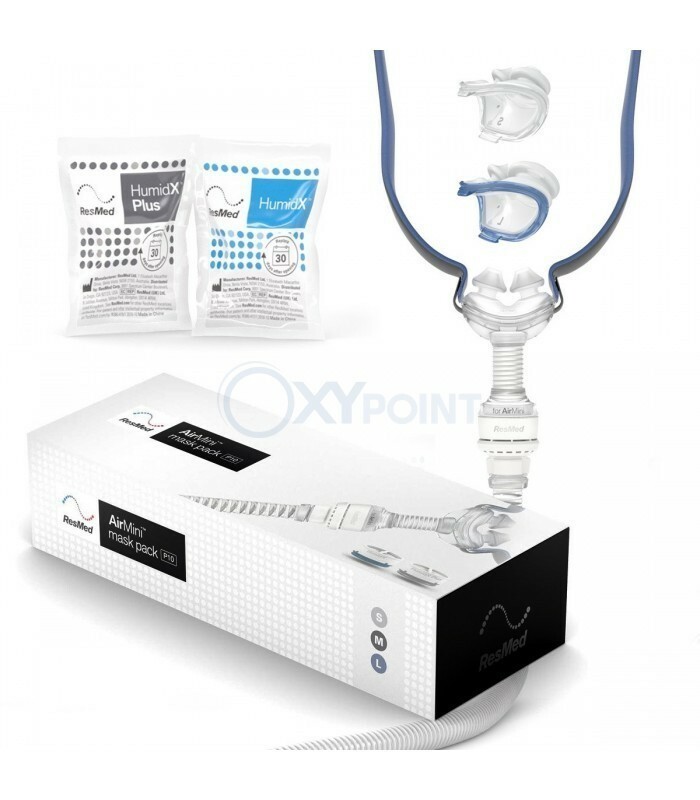 This device defaults to Expiratory Pressure Relieve (EPR™) Level 1 which lowers the pressure upon exhalation by 1cm H2O. The user can change the settings to Level 2 which lowers the pressure by 2cm H2O or Level 3 which lowers the pressure by 3cm H2O. 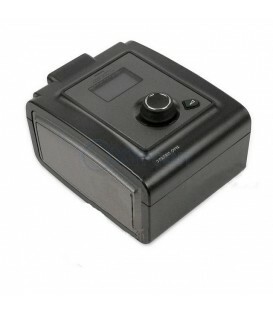 Unlike many power supplies, the AirMini™ AC power supply is small, measuring 3.5 inches long by 2 inches wide by 1.35 tall. 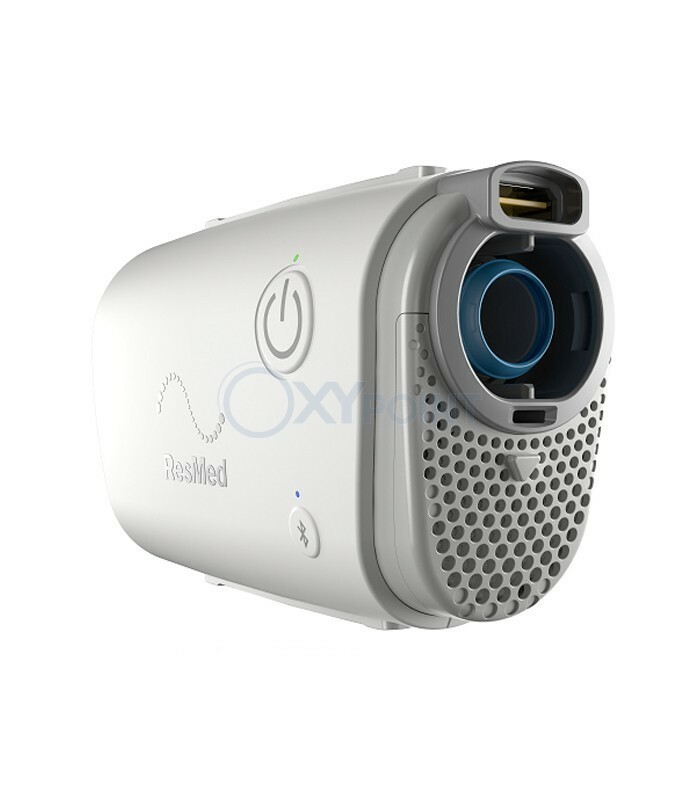 The travel sized humidifier has been eliminated with the addition of the HumidX™ component built into N20 and P10 CPAP tubes. 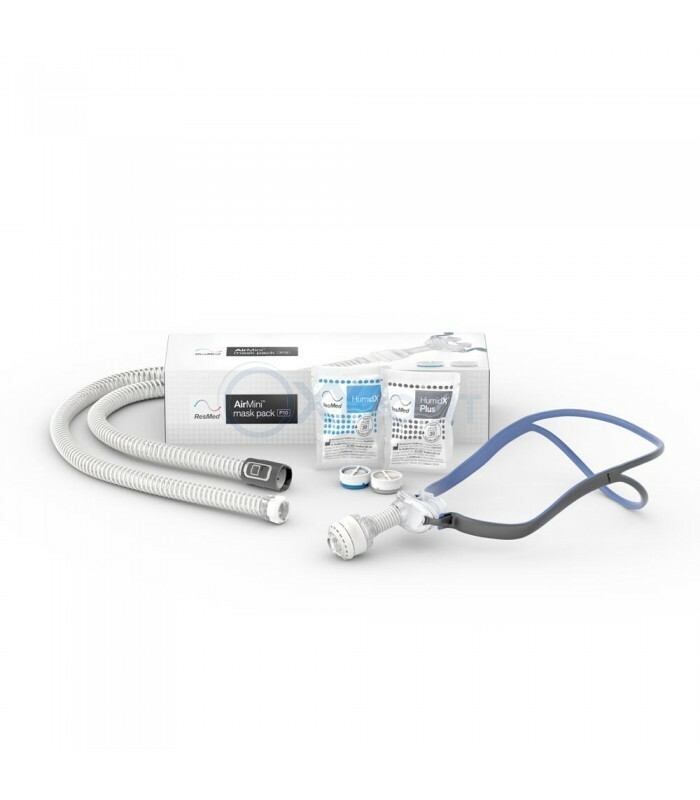 The AirMini™ premium travel bag and travel case are optional units designed for use with the AirMini™ portable CPAP machine. This bag and case can be added to help protect the machine. Pack the machine in the case, along with the mask, the hose, and all accessories which fit into the bag for easy storage. 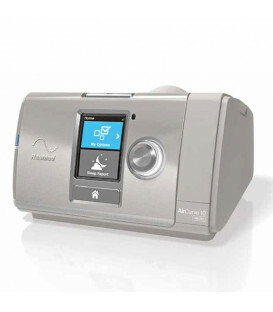 The AirMini™ machine defaults to Auto-Adjusting CPAP mode, but it is designed to work in either CPAP or APAP mode depending on need. 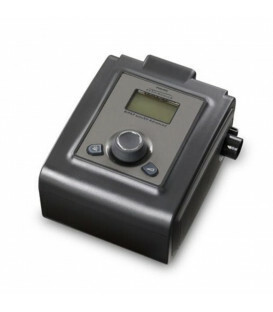 In APAP mode, the machine adjusts the pressure based on the prescribed pressure.